Keytorc provides reliable and scalable software testing services, by merging its performance testing experiences with the abilities provided by cloud technologies. Both commercial and open-source performance testing tools are applicable based on project needs. Thanks to its infrastructure that supports protocols like HTTPS, FTP, LDAP; JMeter is a frequently preferred open source performance testing tool in Keytorc’s projects. In order to create a wider field of use, Keytorc integrates JMeter to Blazemeter which has a flexible infrastructure. In Blazemeter it is possible to generate a great amount of virtual users which practically replace the usage of virtual user generation servers. User load generated with this combination, might be executed on any servers at any geographic location with needed amount of load. 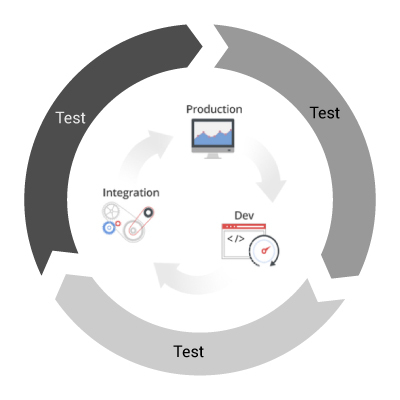 Integrate software performance tests into software development life cycles. Another tool preferred on performance testing projects is Microsoft’s Visual Studio Ultimate Edition. 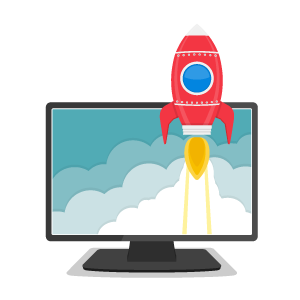 Visual Studio offers opportunities for both development and test teams especially with the Ultimate version. Some exceptional cases may enforce performance testers to start coding instead of staying in testing loop. Since Visual Studio has the ability to perform tests whether if it is a web application, service or mobile app; Keytorc prefers Microsoft Visual Studio for these kind of projects. 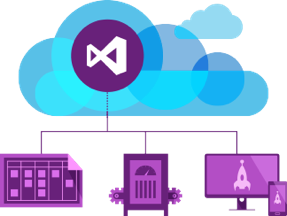 Keytorc also accesses Visual Studio Team Service to benefit from Microsoft’s Azure cloud infrastructure. So performance tests are able run from any geographical location. With the penetration of mobile world, software projects are more tend to touch further number of users. According to researches on software performance, it is clear that every single second of extra waiting time triggers the level of dissatisfaction exponentially. Since it is quite a delicate process, Keytorc uses various cloud solutions to generate the most realistic user loads. Facility to apply all the scope for both web in mobile applications.